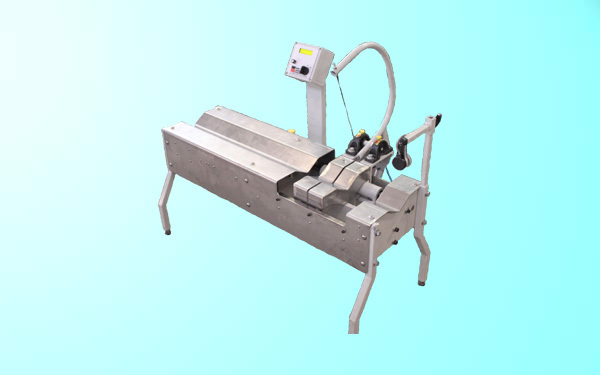 Automatic Clay Cutter Control manufactured by Starkey Machinery Inc.
Starkey Machinery Incorporated manufactures a complete line of standard and custom clay cutters for the ceramics industry. The model SCC-2700 measures and moves the cutting mechanism along with the clay column, matching the speed and accurately measuring the length of the clay. This tecnique assures accurate cuts perpendicular the the axis of the clay column.